If you lose the key of your car, you will find it a very stressful thing in which you need to go through it. This kind of situation is likely to happen to everyone at some point. Whether you lose or have it stolen from you, it will still be frustrating for you to go through it, most especially if you need to use your car for your everyday transportation. Losing car keys can cause you lots of concern and can put your car at risk. It might even end up to the hands of a thief and they can gain access to your personal documents. This is why there is a need for you to replace your keys and locks once you lose your car keys. How does rekey car San Diego work? 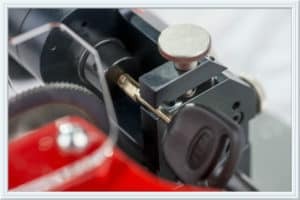 Rekeying your lock is one of the straightforward process in which it involves replacing of lock pins that is located in your current lock’s cylinder and changing the wafer configuration. With this kind of action, the new set of cut keys will be the only one to work for your lock just to open it. The next step will now involve the cutting of the numbers of keys that you will need. This will depend on you if how many copies you want for your car key. Once your car has been rekeyed, you will now have the assurance that your old key will no longer work for your car. Rekeying your car is one of the best things we can do for your car to make it safe from the thieves around. How much is it to rekey a car San Diego? team and we can provide you new lock installation and sets of new car keys. However, there are still questions that remains when it comes to changing your car locks cost. How much to rekey a car in San Diego will cost you? Well in our service, it will depend on the model of your car. There are cars that will just need to be rekeyed while in other cars, there is a need to replace the entire lock and key wherein rekeying will be harder to do. As you avail our excellent services, you will not find it expensive. 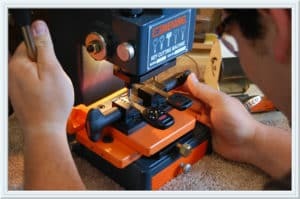 We can offer you the cheapest rekeying service for each lock wherein you will save a lot of your cost. Thus, you will have the assurance that you will be provided with security for your car. Rekeying a car San Diego will sometime mean replacing the ignition of your lock too. If this is what you need, we can also provide you with high quality ignition product at an affordable price. You will now have new ignition switch and we can repair it just for you. You will find that rekeying a car will mean a lot for your car. It is one of the great things you will have once you seek for our help. Since it involves car locked rekeying, we have the ability to provide you different types of key that you wanted to use. You also have the chance to rekey your car in different ways but it will depend on your car’s lock if it will match. This kind of offer will provide you different levels of customization for your car’s keys. It will be your great option once your key is stolen or lost. 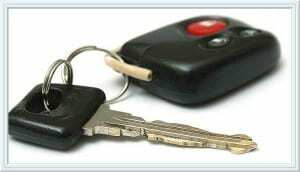 If your car key is lost, it is the best idea to ask for our help. We are expert when it comes to locked rekeying and we will help you to have real safety for your property. Once we provide you new sets of keys, your old keys will surely no longer work for your car’s lock. Instant process. For our services, you will not need to wait for a long time because we can instantly duplicate the keys you will need in just an hour. You will immediately get the keys once it fits already in your car’s lock and you can drive your vehicle again. Our rekey car services are significantly great and fast option when you have major concerns with your car. Lock rekeying will be cheaper rather than duplication of keys. Requesting for duplicate keys from your car’s manufacturer will be costly but when you decide for rekeying, you will find it as a more affordable option. Because of these numerous benefits that rekey a car can provide you, lots of car owners now opt this kind of option. They prefer to deal with this kind of process once their keys are stolen away from them. Rekeying car involves great innovation wherein we are now using the most advanced tools and equipment. We can make a good design of key that will help you to provide the proper solution for your problem. We can help you rekey your vehicle and replace the pins of your lock cylinder. Rekey car San Diego will create the new key of your vehicle in which you will receive the professional auto locksmith service that you are looking for. You will have the assurance that you will be satisfied from our service and we will guarantee you that it will surely last long. Rekeying your car will surely be worthy of what you are paying for. Therefore, in case you have problem regarding a stolen car key, call us and we will instantly visit your place.